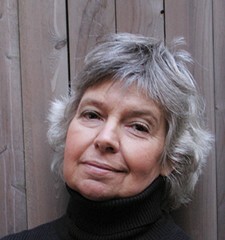 On Saturday, April 6, on Women’s Media Center Live with Robin Morgan(www.WMCLive.com), Morgan will discuss — for the first time publicly — her Parkinson’s diagnosis, and examine the disturbing fact that, according to the Parkinson’s Disease Foundation (www.PDF.org), women are under-represented in the research studies. The show will be available by podcast from the Women’s Media Center site (http://www.wmcLive.com), 11 a.m. ET. Morgan’s guests will be Dr. Allison Willis, a neurologist who specializes in Parkinson’s, discussing the paucity of women in the field; Lori Katz, a woman with early onset Parkinson’s who founded one of the first women’s PD support groups; and Rhona Johnson, a caregiver, on the need for a new campaign to gain government support for the caregiver population, which is overwhelmingly female.